We are delighted to announce that the Angelicus Celtis choir, a group formed from the prestigious Hywel Girls’ Choir and Hywel Boys Singers in Llanelli, have become Ambassadors for the charity. 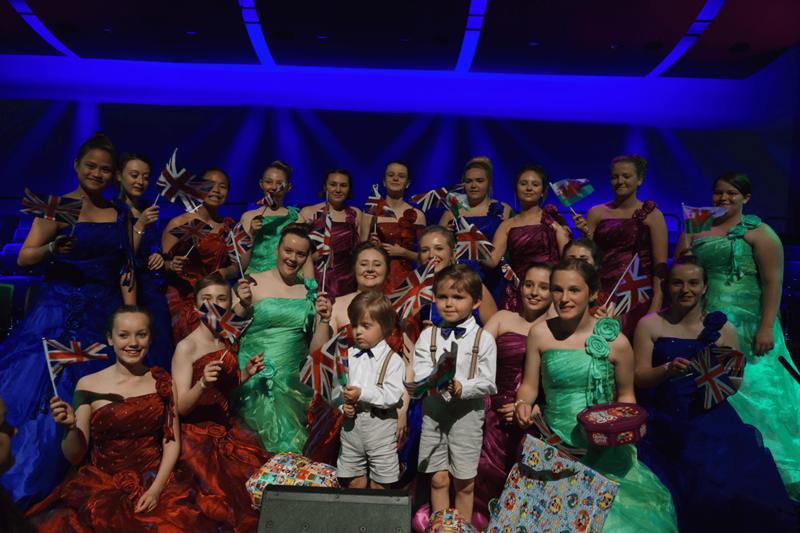 The choristers were delighted to meet one of the local families Cerebra helps at their Last Night of the Proms concert at Y Ffwrness on 4th June. Four year old Ryan Hooper, who has Down’s syndrome, and his older brother Dylan thoroughly enjoyed the music, singing, and vigorous flag waving! They were also thrilled to meet the girls who sang Ryan’s favourite song, ‘Let it Go’, just for him. The Hooper family from Kidwelly have enjoyed a well-deserved break at Cerebra’s fully adapted and equipped holiday home in Pembrokeshire. Many families with children who have special needs find it incredibly difficult to find a place to go on holiday that caters for their needs – Cerebra’s holiday home is often the only chance families have to spend quality time together. Cerebra are grateful to John Hywel Williams, Jeremy Hywel and the choristers for their on-going support.